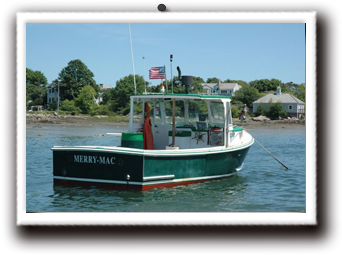 In 1932, Captain George Nunan, after years of Grand Banks schooner fishing, returned home to Cape Porpoise, Maine to pursue lobster and mackerel fishing. 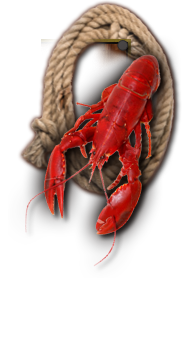 In 1951, George placed a cooking kettle under the elm tree in his front yard to sell cooked lobsters. He would sell the first one for $1.25, and then .80 cents for every one after that. With business booming more than his small kettle could handle, in 1953 he converted his workshop into the same kitchen used today. He built a tiny dining room which led to several more additions through the years. With that, Nunan's Lobster Hut was born. 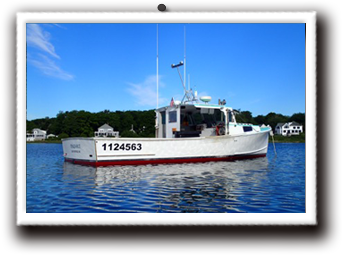 George's son Clayton was also a lobsterman. Clayton married Bertha in 1956. Bertha began working at the Hut that summer. She would waitress while George and Clayton worked in the kitchen. George asked Bertha to make desserts for the restaurant. She made her apple pie, lemon meringue pie, and her famous blueberry pie. Bertha would continue to make these plus chocolate cream pie, brownies, and shortcake biscuits for the next 47 years. It is estimated that Bertha has made more than 80,000 pies for Nunan's with the majority being her blueberry pie. Clayton and Bertha had two sons. Richard (better known as Yogi) and Keith. Both practically grew up at the restaurant and have both worked there from an early age. When George passed away in 1972, Clayton and Bertha continued to run things exactly the same way. Clayton passed away in 1974. Bertha, being left alone with a business and two young boys, could have easily closed Nunan's. Of course, she didn't. With determination and strength, along with the love and support of her family and friends, she made Nunan's bigger and better than ever. 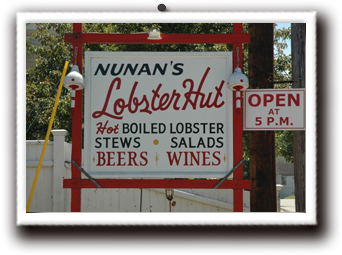 She was Nunan's Lobster Hut, and no one thought of one without the other. 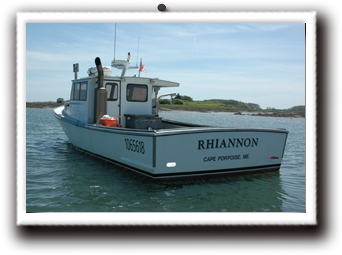 Continuing the family tradition, Richard and Keith are both lobstermen. 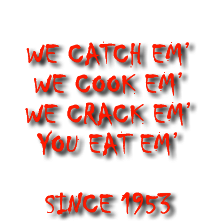 After a long day on the ocean, you will find them in the kitchen cooking the lobsters the same way their grandfather did in 1953. In 1994, Bertha passed the business down to her two sons and their wives. Richard's wife Terri has worked at the restaurant since 1974. Keith's wife Kim has worked at the restaurant since 1993. Terri and Kim both work in the dining room. Terri oversees daily operations of the business, and Kim has been baking the pies as per Berthas original recipe since 2003. Bertha passed away in January 2009. 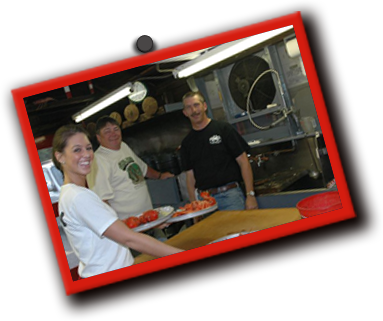 It is our mission to provide the same quality and fun, family atmosphere that began over a half century ago. We continue to believe that if you stick with what works you will make the customer happy. Our staff is friendly and they aim to please. Many of our customers have become like our family over the years, and they are all important to us, as they have been for three generations.